We take the task of matching puppies to homes based on temperament, purpose and conformation very seriously. We work on a ‘best match’ philosophy; so while you are of course welcome to state your preferences and we will try to accommodate them, we reserve the right to the final decision. If this decision does not suit all parties, we will try again with subsequent litters. We believe this is vital to the long term happiness of dogs and owners, and therefore reduces the need to rehouse older dogs. On this note, we can not stress enough that if there are issues in the future, be it health, temperament or a change in your circumstances, we want to be the first to know. Not only is this information vital to educate our breeding the best and healthiest dogs; and allows us and our expertise to assist you, but it is our responsibility to assist in rehoming the dog if ever needed. This regular communication is an expectation of owning one of our puppies. We place all pet and working dogs on the ANKC limited register. This means they are recorded as a pure bred dog, and you receive a certificate detailing four generations of pedigree. Limited register means you may not breed or show the dog. For those of you who wish to own a show or breeding dog, it is by negotiation. 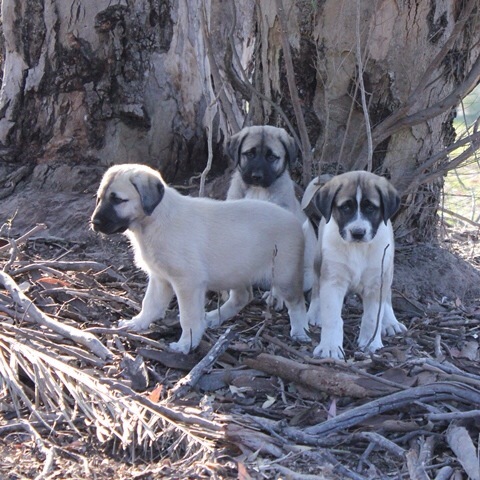 The potential puppies are subject to an expert vet opinion as to their potential conformation. We would be very pleased to assist you in getting involved with showing, there are lots of exciting options, so please ask for more information if it is a possibility for you. Breeding dogs are only ever placed with registered breeders, and usually ones whom we have a rapport with and have demonstrated adequate breed knowledge.